For the past decade, I have championed the cause of building reflective communities and collaborative conversations as vehicles to impact teaching and learning. So, it would follow that even in retirement from public education I would continue this initiative as I consult with teachers. Over the past decade, I have seen a change in connected environments and due to the power of Twitter my mind has been opened to additional avenues for staying informed and staying connected. Without leaving my home, I can converse with like-minded educators across the states who have a unified purpose - impacting teaching and learning on a daily basis. I am amazed at the number of committed educators I have been introduced to through Twitter, a real-time information network. Each week, I can choose from a variety of PLNs to delve deep into topics such as leadership, vision, back to school night, instructional practices, read alouds, close readings, and teaching and learning. I have applauded committed individuals who spend time outside of work engaging in relevant, thought-provoking conversations on powerful PLNs, such as #satchat, #ideachat, #nyedchat. Stimulating, engaging, exchanges interjected at a quick pace, push my thinking. Where could I have as many conversations that champion creativity, innovation, and reflection, if it were not for connected environments? In addition, embedded in Twitter messages I find links to professional blogs, websites, and events. With these avenues I can make new connections and further my growth as an educator. As September turns into October, stay connected and become informed about relevant issues in education. Join veteran and novice educators across the globe as "Helping Educators Thrive in a Connected World" becomes a focus during Connected Educator Month. For those attending the first ELA Coordinator Network on September 30, 2013 that connects State Ed officials with Long Island educators, live connections will be encouraged through the use of the Twitter hashtag, #elanetwork. This is an opportunity to tweet pertinent information to those in the conference room and those not able to attend. In addition, during Connected Educator Month, you may find it interesting to blog with your colleagues, connect with your district PLN, such as Reflective Pathway, or join a face to face professional development group. With each new conversation you can deepen and further your professional learning. Being informed and staying connected are practices worth investing in for these may lead you to further collaboration and improved instructional practices. If you would like Twitter Tips, go to http://partyaficionado.com/2011/05/29/how-to-use-twitter-infographic/. If you would like an inforgraphic that summarizes Twitter for teachers, go to http://www.teachthought.com/social-media/infographic-summarizes-twitter-teachers/. Yesterday, #satchat's engaging conversation on Twitter was buzzing with viewpoints on vision and the role of educational leaders. Participants from across the states shared ideas, exchanged comments, and posted links to their blogs to enhance the dialogue. During a fast-paced, one hour time frame, the PLN once again brought the value of a shared network of committed collaborators to educators around the country. Vision is not static. It guides leaders on their journeys. 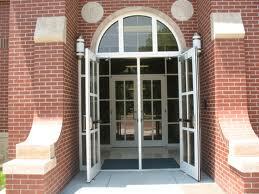 It is the lens needed by all stakeholders to strategically impact a learning community. In a world of constant information and flux, vision is the commitment to the development of a culture of learning and achievement despite challenges. 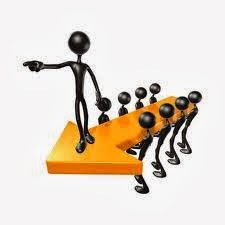 Without vision, organizations cannot move forward affecting teaching and learning in a positive way. To those principled, flexible, educational leaders who build communities of trust and collaboration during trying times, I dedicate these thoughts. Who gracefully embrace and affect change. Carefully creating trusting relationships through team building and shared vision. Bringing passion and engagement to the forefront of learning. Guiding staff to delve deeply into rich instructional practices. Who push their thinking to affect continuous growth in staff and students. As they bring about positive change in teaching and learning. For those interested in informing your learning life, join in on the Satchat talks on Saturday mornings at 7:30 am on Twitter, #satchat. I am sure you will be as pleased with the conversations as I have been. 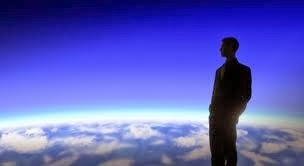 The world is busy, but the mind tenacious. The writing life is all about faith in a fragment. Writing is an art form that moves your consciousness to paper. It is the process by which you reveal your inner self while splashing your thoughts across the page. It starts as a glimmer of an idea, a seed that sprouts in the quiet corners of your mind, and takes form when the muse beckons you. Writing can be an arrangement of free thoughts or an on demand task. It can be a messy synthesis of ideas or an elegant rewrite. With faith, the writing process allows thoughts to germinate, grow, and give voice to a learning life. For me, writing has evolved since my days of grammar school. Thinking of myself as a budding writer at the early age of eight, I fashioned a marble notebook into a chapter book. Being enamored by the crafted stories of the fictional lives of the Bobbsey Twins and so mesmerized by their antics, I penned my own version of the series. No one guided me on the journey. There was no mention of writer’s journals or mentor texts to study the art form of writing. I wrote because I loved books and wanted to be expressive. As I moved through school, writing became personal and led to many introspective moments. My thoughts often came in quick spurts, not hampered by time or restrictions. I frequently revisited pieces to revise and refine before making them ready for public eyes. By the time college was nearing to a close, I was deeply entrenched in a writing life. Lately, I have been pondering how I can assist learners with the act of developing their own writing lives, as the Common Core requires. The anchor standard for NYS Writing Standard 4: Production and Distribution of Writing, states: Produce clear and coherent writing in which the development, organization and style are appropriate to task, purpose, and audience. This statement has charted the course for my writing life and helped guide my teaching practices. Now, as a consultant, I would like to transfer my passion for writing to educators as they explore the art of writing with their students. Engaging writers in the act of pre-writing is a first step. The protocol, Chalk Talk, is a tool that I use for it provides an avenue to reflect, write, and have a conversation in silence. To begin the process, I post a quote from an inspirational literary luminary, such as Don Murray. “Most writers write in the early morning before the world intrudes. They harvest the product of their subconscious.” Or, I pose a question to start the conversation regarding teaching and learning. 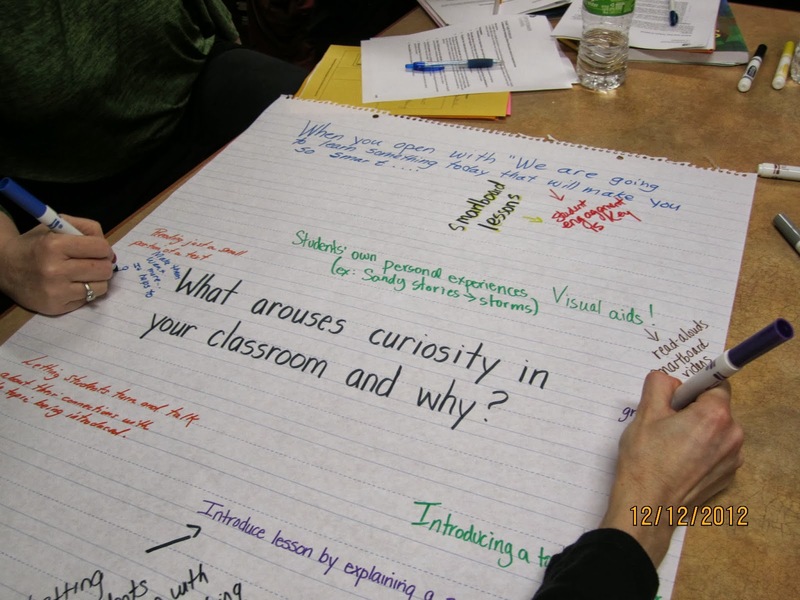 The quote or prompt (as seen in the picture above) guides the Chalk Talk discussion as it radiates out from the middle of chart paper. Approximately five teachers to a group, with markers in hand, write a response anywhere on the page. They respond to their peers' responses or start a new thought. The facilitator interjects comments on the chart paper and so the process progresses in silence for five minutes. Watching the reactions of teachers to the Chalk Talk protocol is very interesting. Some jump right in and start to write. Others are hesitant but move into the flow of conversation as they see peers busily engaging in the silent conversation. Jotting down ideas that come to mind give purpose and breath to new thoughts. This process helps writers to define their thoughts and promotes communication. Debriefing time can provide a lens for learners, noting that writing proceeds from a single thought or a series of thoughts and can be developed into a cohesive piece if explored in depth. Wordle and Tagxedo are other tools that allow writers to engage in a reflective process and create end products, word clouds with texts. 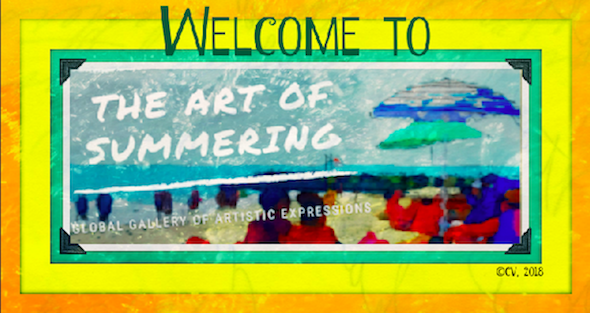 They provide an avenue for writers to explore the power of words in a visual form. 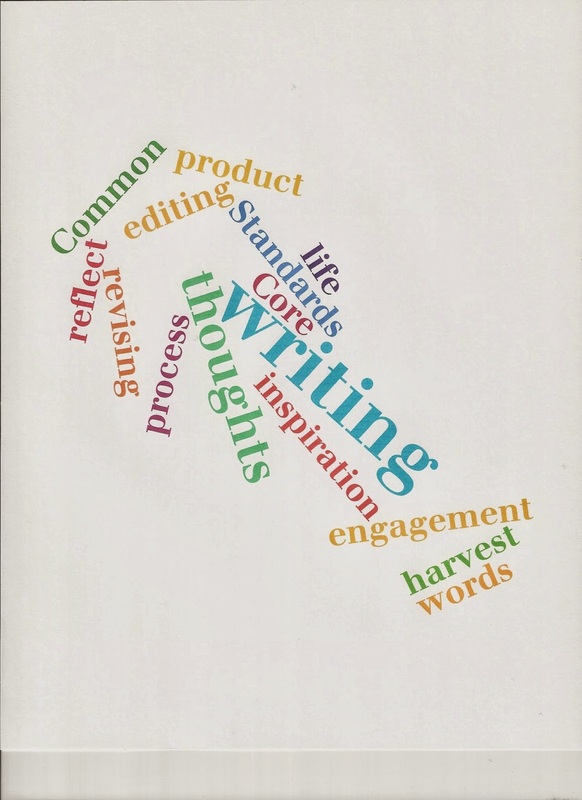 With these fun tools, writing becomes a continual process of growing thoughts. Connecting technology with the learning process creates a motivating environment for learners. Another way to create the appropriate writing environment to generate thoughts is to reference notable figures in the field and provide snippets of their texts. This provides insight into what a writing life is about and leads to the exploration of the writing process through authors' lives. Showcasing Ralph Fletcher's, "A Writer's Notebook," frames the use of the journal as a personal writing resource. Providing staff with titles of books from personal writing libraries showcases authors of merit, such as, Carl Anderson, Amy Benjamin, Katherine Bomer, Lucy Calkins, Ruth Culham, Penny Kittle, Katie Wood Ray, Linda Rief, and Laura Robb. Pausing to reflect about encounters with the beloved Donald Graves and the celebratory writing session for Don Murray at the NCTE Convention several years ago personalizes the writing experience. National writing figures and authors need to be portrayed as real people with successes and struggles who produce because they are disciplined, observant, and persevere in their endeavors to connect pen to paper in a steady stream of harvestable thoughts. It is because I love the art form of writing that I continue to design learning opportunities to make reading and writing active components of the educational day. The development of a writing life has intersected my teaching and learning life in unique ways. I have grown from a child writer of narrative text to a writer who explores different writing genres. I have studied writing styles of literary luminaries to conclude that writing is a universal practice that connects writing lives. For those who fear the thought of teaching writing, may you understand that everyone is a writer because everyone has thoughts within that need to be heard. For those who are passionate about writing, may you be inspired by the words that you find within and for those who are dabbling in the art, may every idea give breath to a bountiful harvest of thoughts. All you need to do is let go and allow your words to give flight to a range of thoughts. From seeds, flowers grow. From words, single thoughts grow into threaded thoughts about a topic. All it takes is faith to let your words flow. 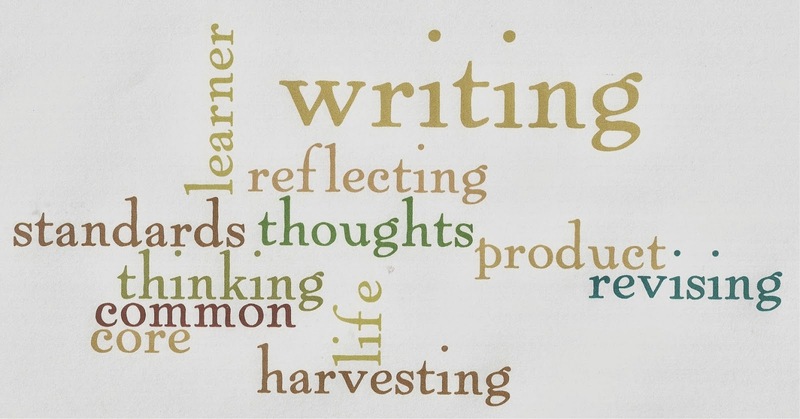 I welcome thoughts on "developing a writing life that intersects teaching and learning" in the comment section. Please post your name and job title. It is my hope that different perspectives will be heard as we build a professional learning community. Writers are always looking for inspiration. Although there are a plethora of posts and articles on inspiration, I decided to put pen to paper after I found an unusual bit of inspiration. This did not come from the elusive muse (who doesn't often sit on my shoulder) nor did it come from within. Not being a totally observant person I might have missed the opportunity to be inspired unless my husband called my attention to my garden last week. The World Dictionary defines inspiration as "an arousal of the mind, feelings, etc., to special or unusual activity or creativity" Last week there was unusual activity in my garden that triggered a spark of creativity that aroused my mind. Have you ever heard of cucumber vines getting tangled amidst ten feet tall shrubs and yielding produce? Look to the left to see what I mean. This phenomenon made me pause and wonder about the process of growing. I carefully planted my cucumbers months ago. The rain and sun nurtured them. The growing process was initiated and the plant thrived but I wondered. Where was were the fruits of my labor? Little did I know that they were growing upwards. I found a crop of huge cucumbers, hanging from their vines. Let inspiration come from many corners and let it propel your learning practices this year. Be the gardener that sows the seeds to learning through sound instructional practices and effective delivery. Bring passion to your garden and let creativity flourish! Let inspiration spring forth. Yesterday, the nation paused to remember a horrific event in its history. On September 11, 2001, a never-to-be-forgotten date, 3000 people perished in the attacks on the World Trade Center and the Pentagon. Of that number, Rockville Centre, a small suburb of New York City, suffered considerable losses. 48 of my townspeople people died as a result of the "largest attack on US soil" on that fateful day. I shall never forget the incredible feeling of sadness mixed with panic as colleagues and I heard the news the morning of September 11, 2001. As the media blasted the air with news, it was very difficult to continue the day of elementary school as usual. Colleagues tried to connect with loved ones who went to work in New York City; worrisome looks multiplied; phone calls were interrupted; tears shed. When I arrived home, news of the attacks were haunting the neighborhoods of Rockville Centre. A small group of concerned South Side high school students, my daughter being one of them, were touched by the events of the day that deeply affected one of their classmates. The concerned peers formed a bond and brought the school community together in support of their friend whose mother was killed in the World Trade Building terrorist attack while her father was out of the country on business. That night, students, heavy in heart, led a vigil march through the neighborhoods. The sky, lit up by hundreds of candles held in the hands of mourners and supporters, marched in solidarity, bringing a town together during a time of deep anguish. Many people were not among the group, my husband being one of them. Although safe, he was forced to stay in New Jersey that night. Entrance back to Long Island was closed. After hours of no contact, he did bring us news of what he witnessed. As traffic slowed on road from NYC to New Jersey, he, along with many motorists, saw the second plane attack the World Trade Center. During a night of disbelief and despair his story as well as many others rose from the ashes of a grim fate. There was the friend who led the NYC Bomb Squad searches; the first responder who traveled from Suffolk County to NYC to support the ravaged World Trade Center; other friends who walked across the Brooklyn Bridge to come home from the havoc that ensued on Wall Street. There was the brave fireman from our next town who lost his life at the site and dozens of Rockville Centre neighbors who never came home from work that night. There were the charcoaled faces, broken dreams, and voices that could not speak of the horrors witnessed. But in all the chaos and grief, the town bonded and grew strength from each other. Ceremonies, monuments, memorial parks all created during the weeks that followed allowed a town to heal in the wake of disaster. The remembrance of 9/11 is a heavy one that never leaves one's heart. In our neighborhood, and across Long Island to New York City children were forced to deal with a harsh reality that life is fragile and dreams can be broken. Paralleling that message was the belief that hope can exist in a town despite devastating losses. Rockville Centre Mayor Francis Murray, summarized this feeling during his memorial speech on Sunday, September 8, 2013. "No community suffered more than Rockville Centre...but we did not just survive this tragedy, we prevailed." Stories have been told, repeated, and retold over the past twelve years. Hearts have been mended, but Rockville Centre community members never forgot the losses. September 11, 2001 marked the day for a town to be brought to its knees. Subsequent years have marked the evolution of 9/11 stories into messages of courage, survival and new learnings about life's fragile journey. 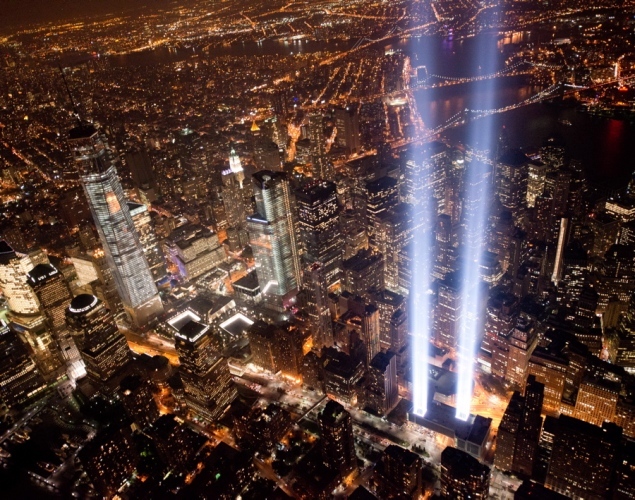 The twin columns of light reaching skyward represent the Twin Towers that collapsed in the 9/11 terror attacks on the World Trade Center 12 years ago. The installation shines each year on the anniversary of the attacks as a memorial to the thousands of lives lost. In looking back upon my childhood, I have vivid recollections of vacations in the quiet town of Rome, New York. There, each summer, I renewed a bond with my immigrant grandmother, who could neither read nor write in English, but had practical knowledge, wisdom, and a strong love for learning. Through a series of weekly walks to the library, Nonnie touched my life in an endearing manner. With a firm grasp of my hand, she would lead me to the Children's Room to discuss new titles with the librarian. Her gentle guidance and strong desire for her grandchild to be filled with the wonder of books, instilled in me a passion for reading. On these trips, Nonnie reiterated stories of her immigrants roots, travels to America, and dreams for her family to become Americanized and well educated. Her conversations became like the threads in her sewing cabinet that pieced together a tapestry of wonder and learning. Little did I know at that time how her weekly routine of library visits would become my rite of passage as a lifelong learner and affect my future path in education. Years later, my mother continued my grandmother's tradition of library visits and reading. Images of her cuddling with my son and daughter and their favorite book or the latest library treasure provide me with precious memories of how grandparents affect the reading lives of their families. In memory of these two loving women who provided a legacy of learning for my family, I researched titles suitable for a National Grandparents Day read aloud. 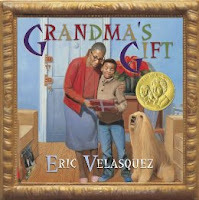 My local library had the book, Grandma's Gift by Eric Velasquez, on its shelves. This memoir of the author's visit with his grandmother in Spanish Harlem parallels my special times with my Italian grandmother, emphasizing the strong bond between grandmother and grandchild. At a lexile level of 1070 this memoir can be included in a unit on relationships for grades 4-6. While focusing on the College and Career Readiness Anchor Standards for Reading, the text can provide readers with a different cultural perspective on the impact of a grandparents' influence on the future of his/her grandchild. 1. Read closely to determine what the text says explicitly and to make logical inferences from it; writing or speaking to support conclusions drawn from the text. 2. Determine the central ideas or themes of a text and analyze their development; summarize the key supporting details and ideas. 11. Respond to literature by employing knowledge of literary language, textural features, and forms to read and comprehend, reflect upon, and interpret literary texts from a variety of genres and wide spectrum of American and world cultures. Beyond an oral reading, crafting text-based questions can lead students on a inquiry to delve deeply into the topic of relationships. Posing an essential question, such as "How does family play a role in shaping our values and beliefs?," opens a dialogue about the abstract gifts that grandparents give to their offspring. By doing so, you can honor grandparents this weekend and reflect on how they have and can affect the reading lives of their grandchildren. 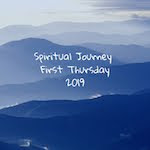 In those early morning moments, the pulse beat of hundreds of young hearts waiting for the doors of learning to open was felt and the thoughts of wise facilitators of learning were heard. I looked beyond each scene and pondered an infinity of thoughts, knowing that educators have the ability to mold minds and transport students to a deeper realm of understanding. And so on the first day of school each September, the countdown to learning begins with purpose, intent, and passion. In the hands of educators, the future of children lie. May the dream for tomorrow be that each teacher and school leader arrive at a new level of understanding, leading students into a learning space of wonder, discovery and inquiry to prepare them for what lies ahead.